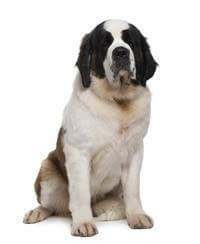 The breed is friendly, loyal, fun loving (particularly youngsters) and people orientated. Individuals will range from very steady and quiet through to a more cheeky and boisterous personality. It is a breed that loves to please which makes training and socialising your pup from an early age an experience that you will both enjoy. With its history as a protector, many of today’s ‘Saints’ will also instinctively watch over the family and belongings, barking at strangers and demanding introduction before allowing that person to enter the home, but it must never be aggressive or fearful.